• BS EN 1365-2:2000, BS EN ISO 140-3:1995 & BS EN ISO 140-6:1998, BS EN 13141-1:2004. 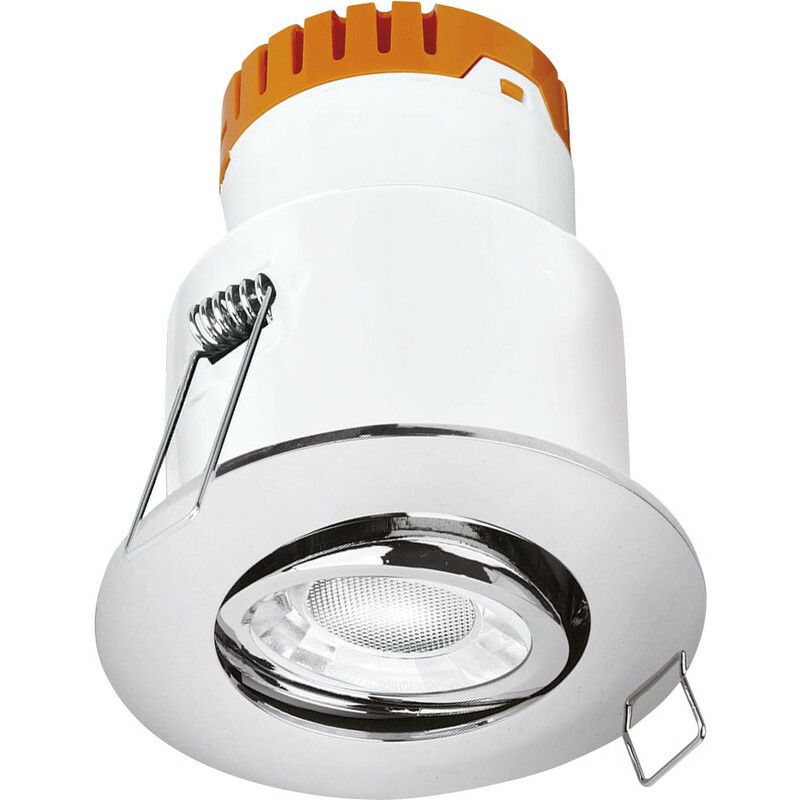 Enlite E8 Adjustable 8W Dimmable IP20 Fire Rated LED Downlight Polished Chrome 3000K 595lm is rated 5.0 out of 5 by 1. Rated 5 out of 5 by David17 from Excellent, Quality Light I bought a number of these for feature lighting in my home and can't recommend them enough. From the build quality to the actual light output these have been fantastic for me. Can't speak for the reliability just yet but with a 3 year warranty on them I can't complain! Just as good as the fixed version of this downlight.